Sports club Budo was founded in 1984 and from 20.01.1990 it was registrated as independent juridical person. 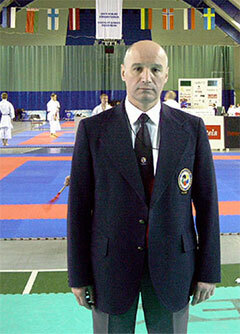 SK BUDO – a member of the Estonian karate federation, which enters in WKF and EKF. In Estonia lives ca 1,5 million inhabitants, and in Tallinn ca 400 000. In karate are engaged nearly 3000 persons all over the country, 250 of them are SK Budo members. On this site is shown the course of events and development of SK Budo and Estonian national karate team. 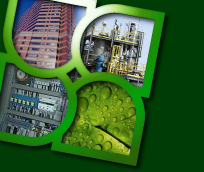 The main information is concentrated on the russian version of the site. The president of SK BUDO and the head coach of the national karate team. 7th coach category in karate. 2 Dan Kobudo (Sensei Hidemi Tamayose, Okinawa, Sensei Rainer Zeibert, Germany). 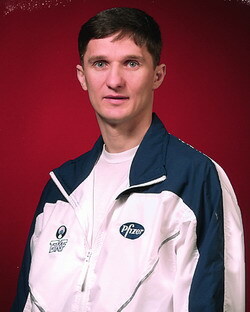 Bronze medalist of European Championship (WKF,1995, Finland). The General Secretary of Estonian Kickboxing Federation. 7th coach category in kickboxing, 5rd coach category in karate. Chairman of the WAKO European Referee Committee, Vice-Chairman of the WAKO World Referee Committee. Mr. Lakhtikov is international kickboxing referee “A” WAKO (World and European licence) and international karate Referee “A” WKF (World and European licence). The president of Estonian Kobudo Federation. 1 Dan Kobudo. 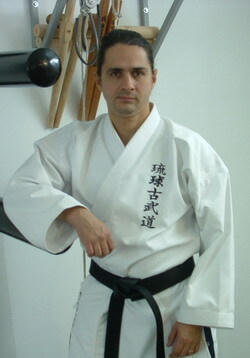 (Sensei Hidemi Tamayose, Okinawa, Sensei Rainer Zeibert, Germany). SK Budo is the largest karate club in Estonia. We welcome all karate sportsmen to our annual international tournament Baltic Grand Prix-BUDO CUP in may (WKF Rules), in which participate representatives of 6-12 countres. CALENDAR of karate competitions SK BUDO. SK BUDO, Mere pst. 4-b, Tallinn, 10111, Estonia. (A/A) 10052038301007, SEB Pank, Tornimae 2, Tallinn, 15010, Estonia, kood 401, reg.kood 10004252, SWIFT: EEUHEE2X.